ANSES (French Agency for Food, Environmental and Occupational Health & Safety – European Union Reference Laboratory for Honeybee Health; Section of Maisons-Alfort, Paris) is looking for an enthusiastic student that is interested in gaining research and data management experience. You will be working together with a postdoctoral fellow (Dr. Simone Tosi; ANSES, University of Maryland) and an international research group. The project team includes renowned researchers and professors from USA and EU. You will fit the position if you are passionate about research, reliable, and accurate. Requirements: proficiency with Microsoft Excel and Word. Key tasks for this position will be data management, literature review, coordinating skills, writing science in English. English language will be used on the day-to-day work communication. Knowledge of ecotoxicology and monitoring surveys will be advantageous. The internship does not directly involve field nor lab work. Contribute to novel interpretations of pesticide risks. Worldwide collaborations will facilitate this aim. Data management of bee health and pesticide exposure datasets prepared by multiple project partners worldwide. Creation of databases of pesticide toxicity on bees (and eventually humans). Statistical analysis of the monitoring datasets on bee health and pesticide exposure. Calculation of Hazard Quotients, frequency of contamination, exposure distribution across space and time, thresholds for safety, risk assessment indexes. The student will participate in the coordination of the international project and coordination of the data collection, management, and analysis. Duration: 6 months (ideally February-March 2019). Full time. Deadline for applications: This internship position will expire as soon as a student is selected, so we suggest applying as early as possible. Honey bees are major pollinators, essential for global food production and wild plant biodiversity, and so the recent decline in bee health can have broad environmental implications. Bee health is affected by multiple environmental and anthropogenic factors – one being pesticide exposure. Pesticides contaminate the environment, and bees can be exposed to them in many ways, for example while collecting and eating their food (e.g. pollen). Concerningly, certain environmental matrices are often simultaneously contaminated by chemical mixtures (multiple chemicals), which can cause interactive effects (i.e. synergism) amplifying their toxicity. However, there is extremely scarce data on the impact of chemical mixtures on bee and human health. 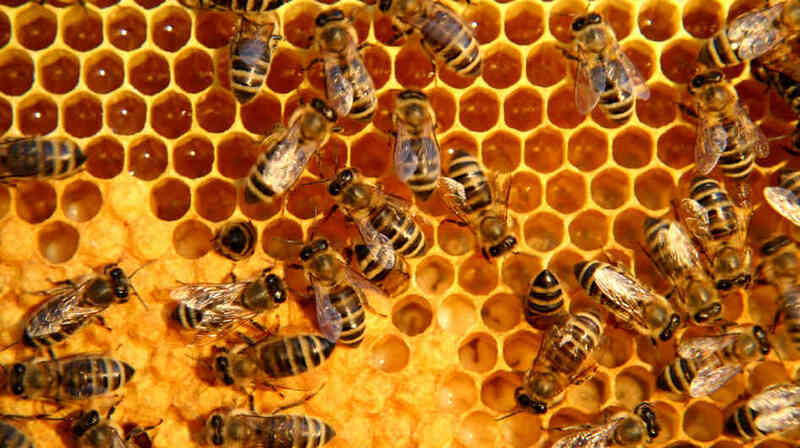 Fortuitously, several multiyear national and international honey bee health surveys have been conducted. We will use key large datasets from multiple countries and continents (including America and Europe) to study the impact of chemical residues in the environment. The broad range of spatial and temporal data we have available offers a unique and unrivalled ability to compare pesticide contamination across regions. We will use various other drivers and stressors of bee health (weather – climate change, land use, diseases, nutritional quality of food) to holistically address the problem of bee health decline. Combining real world multicontinental data will help establish data centred approaches to better describe pesticide risks and bee health. Our work will lay the foundation of future integrations of bee health surveillance initiatives, and guide policy makers through science.